Airoh® is proud to offer a product to the public that is completely identical to that used by our champions. 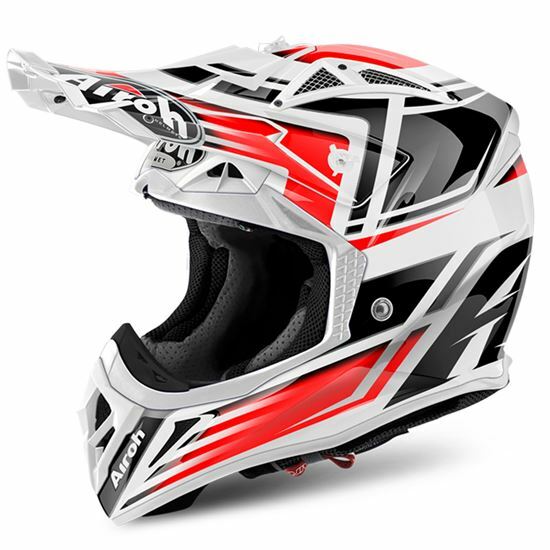 The Aviator 2.2 helmet is available in three different shell sizes and is made with quality materials, 100% Carbon Kevlar, making it one of the lightest and best performing helmets of its class. The strengths in this new version are its low weight, expanded field of vision, the new vent chin bar and new rear spoiler and the new peak that provide maximum protection. Great care has been taken for the inner lining that has been manufactured and designed with the latest materials ensuring optimal ventilation and breathability for those who practice the sport at the highest competitive levels. The Aviator 2.2 is equipped with a dust filter, which will prove a good ally during your days off-road and the emergency system for the release of cheek pads (AEFR).